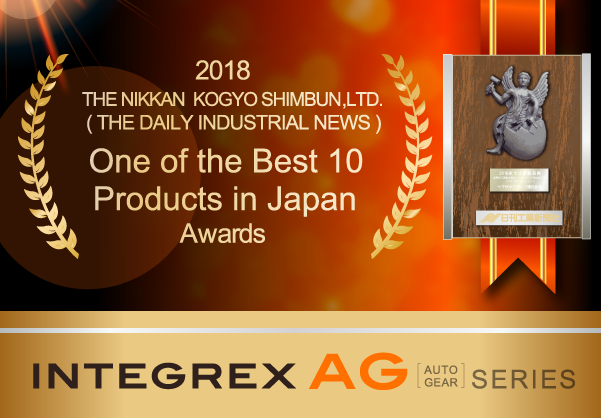 Mazak’s UD-400/5X has won the Main Prize at the “One of the Best 10 Products in Japan in 2017” Awards, held by Nikkan Kogyo Shimbun Ltd.
Today manufacturers everywhere face many challenges - constantly striving to reduce production costs, increasing the use of automation, a growing shortage of skilled employees among many others. The Mazak "iSMART FactoryTM" technology can be used to meet manufacturers' demands to establish production plants using the IoT. By utilizing advanced Mazak machine tools together with software, we can effectively support your goal of realizing data-driven manufacturing for higher productivity. 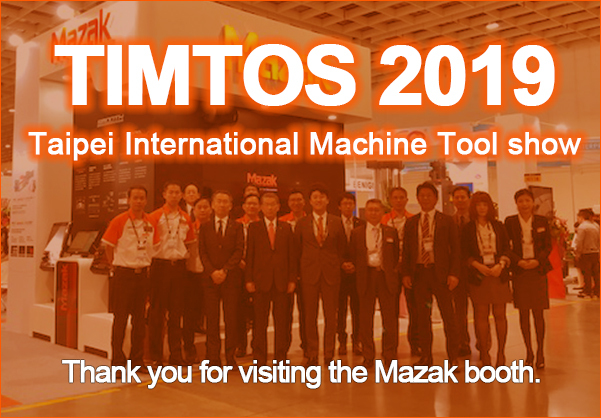 TIMTOS 2019 was held in Taipei,Taiwan from March 4th to 9th. 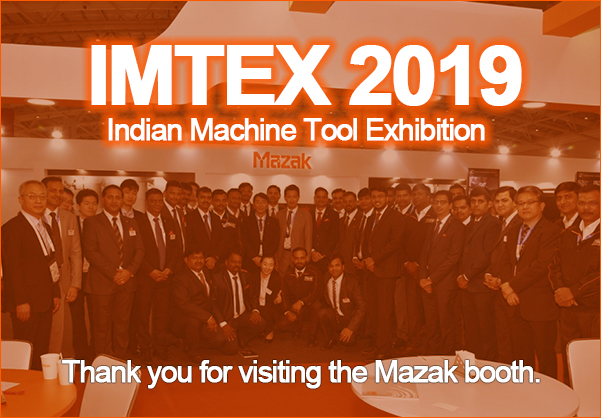 Thank you for visiting the Mazak booth. IMTEX 2019 was held in Bangalore, India from January 24th to 30th. Thank you for visiting the Mazak booth. To realize timely spare parts delivery all over the world, Yamazaki Mazak has established large parts centers in Belgium, the United States, Singapore and China. The World Parts Center in Minokamo Japan that operates 24/7 to administer and distribute spare parts to parts centers all over the world. Yamazaki Mazak currently stocks more than 1.2 million spare parts all over the world and ships more than 96% of spare parts within 24 hours of receiving an order . Announcements of new products, Mazak events, etc. THE YAMAZAKI MAZAK MUSEUM OF ART, a collection of more than 300 works of art such as French paintings of the 18th-20th century, furniture and glassware are exhibited.